A full accounting of my doings in comics. For a record of my work in Animation and other fields, see my LinkedIn CV here. 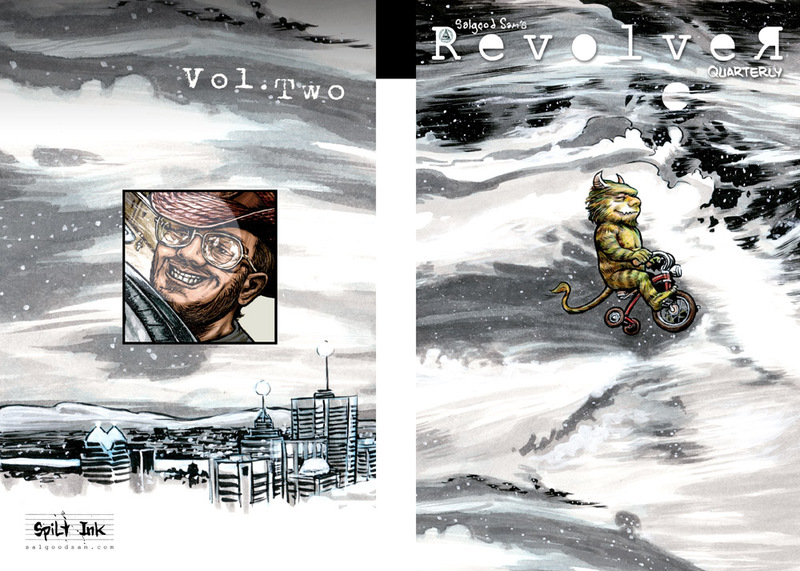 Revolver is my personal anthology project. It contains whatever I’m working on at the moment! Short stories, serialized comics adventures, my memoirs, and More! you can learn more and order it here. There are 4 volumes published now! schools and libraries through my Spilt Ink boutique imprint! Book one of my longest solo project to date was completed with the aid of grants from The Canada Council for the Arts, and published with the aid of a couple of successful crowdfunding campaigns! 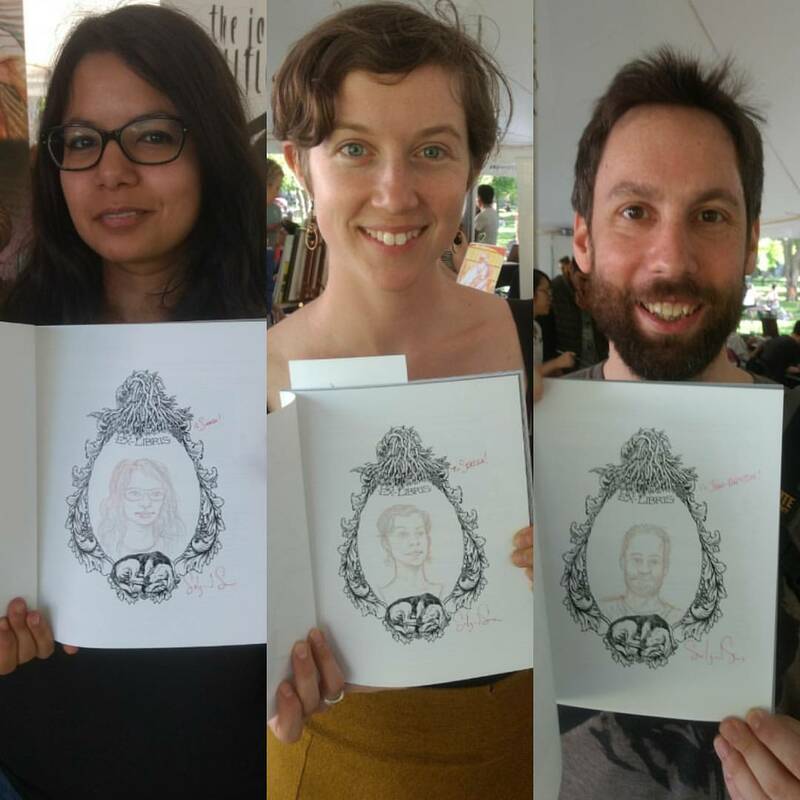 161 pages it’s first edition has nearly sold out and I have drawn hundreds of portraits now into the bookplates of owners at conventions and festivals! I’m incredibly proud of this book, and can’t wait to get back to the story this year! You can order it here! 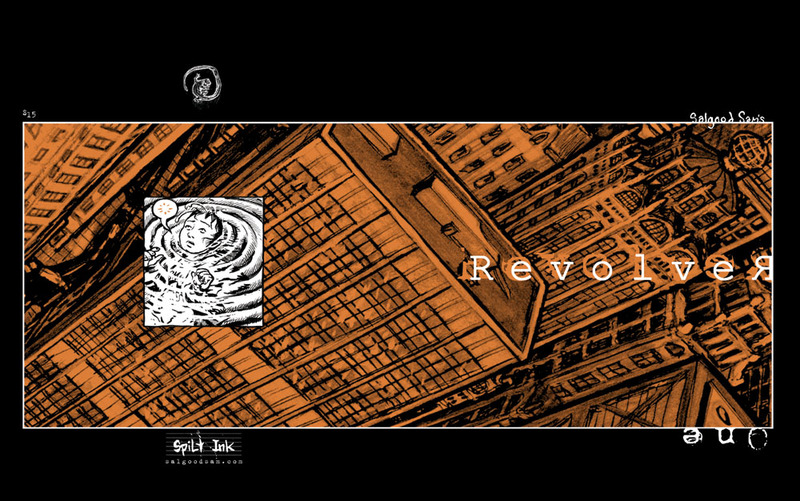 I sell it to retailers and individual buyers, schools and libraries through my Spilt Ink boutique imprint! Art by Salgood Sam, Scripted by Rick Remender & Kieron Dwyer, Layouts by Kieron Dwyer. 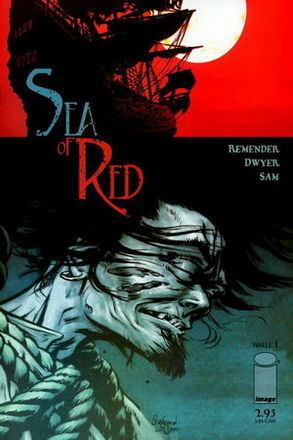 Co-owned & created by Rick Remender, Kieron Dwyer & Salgood Sam. The series continued on for two more volumes after I left it, and has been collected into a slipcase edition, and include in Rick and Kieron’s omnibus edition! IDW Publishing & No Media Kings 2007 – A Best Selling title for it’s quarter! What if the religious right… were actually right? Without warning, multitudes of Christians float bodily up into the sky. For the immoral majority, life goes on pretty much as usual. Except that after the Rapture, magic works — for those willing to risk demonic mutations. And an angelic army appears to have been deployed to mop up the sinners. Through it all, outsiders Raven and Mummy face the possibility of a bigger problem than the end of the world: the end of their relationship. 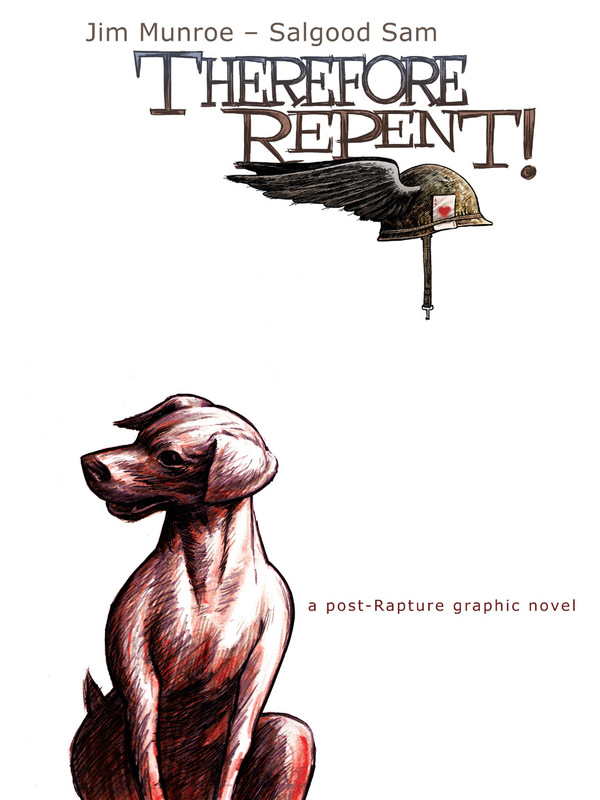 Critically acclaimed and poplar with readers, Therefore Repent! is an unconventional apocalyptic page turner. 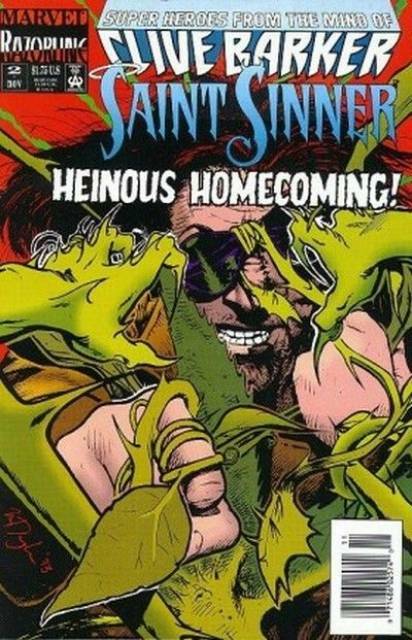 Jim was nominated as an“Outstanding Canadian Comic Book Writer” for the 2008 Shuster Awards for his work on this book! A one page comics strip, my first collaboration with Jim Monroe – printed in ‘Lola’ a Toronto based art Magazine [defunct]. Published by Danny Hellman in 2001 and 2003. 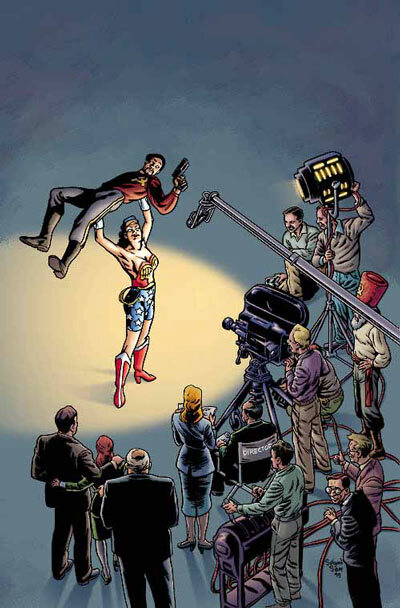 Legal Action Comics were pair of comics anthologies edited by illustrator Danny Hellman featuring work from many alternative comics artists. I published “Helpless” in vol.#2. And “Where The Wild Things Went” in vol.#1. Both can be found in RevolveЯ now. 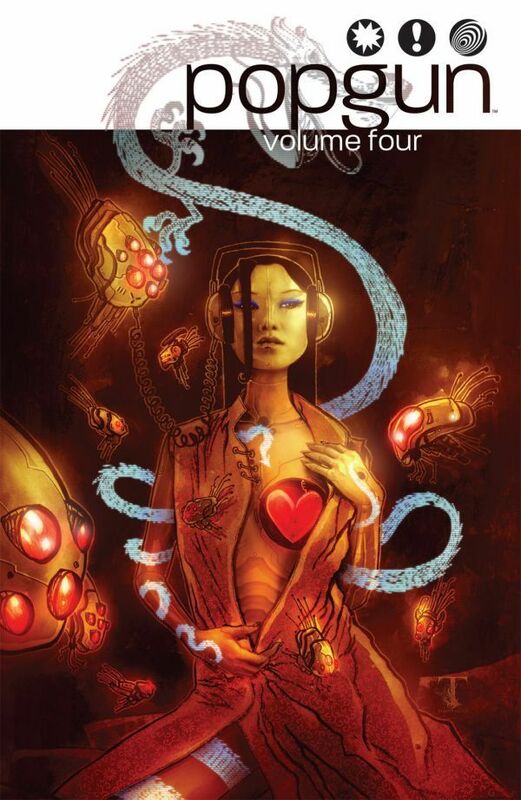 Mark Sable and I teamed up to do a story for this incredible Eisner winning anthology of stories dedicated to the music of Tori Amos! I’m republishing it in RevolveЯ Three as well. 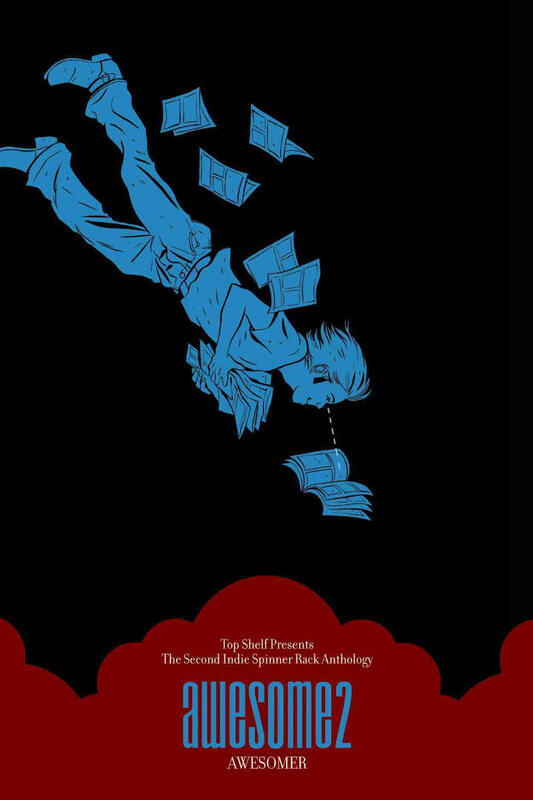 Continuing its efforts to meld indie rock with graphic storytelling Image Comics published “This is a Souvenir: The Songs of Spearmint and Shirley Lee,” its third anthology of music-inspired stories. For this one i wrote and drew my own story. We Invented Someone is a short story based on the lyrics of ‘I invented someone’ by SPEARMINT, it’s my own spin/words, but closely rifts off their song [we were encouraged not to directly use their work so as to make questions of copyright simpler]. I’m republishing it in RevolveЯ Three as well. 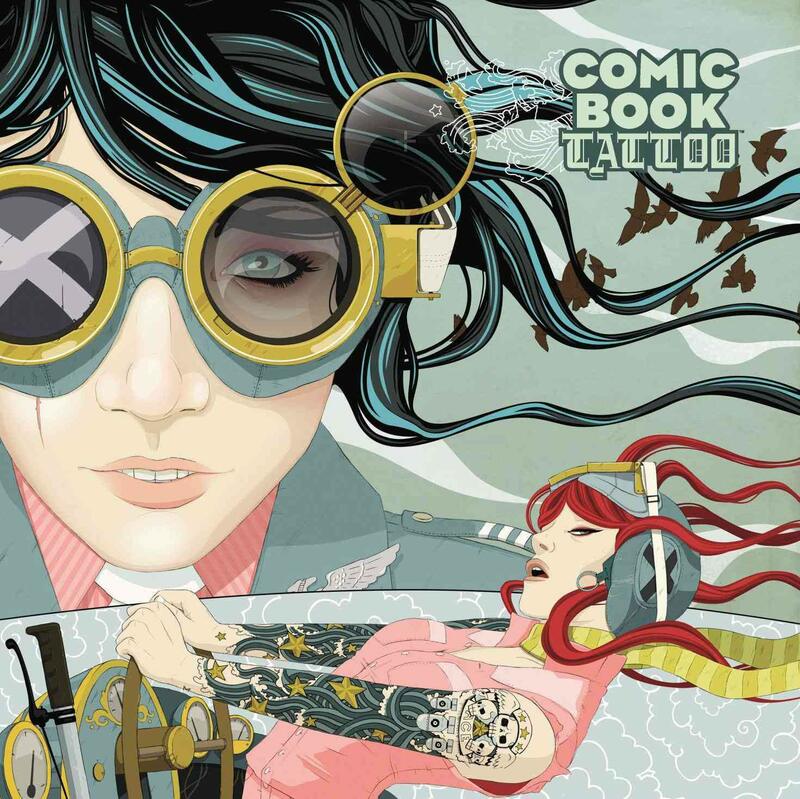 This is a short moody story I did with Rantz Hoseley just after working with him on Comic Book Tattoo. When he first told me about it he described it as “drawing parallels between the disintegration of a marriage and a black widow infestation.” For the story I pushed my work towards early EC influences, and went for the melodrama. We did it as a contribution to the fundraiser ISR anthology, AWESOME 2: AWESOMER. Edited by hosts Charlito and Mr. Phil, and published by Top Shelf. I’m republishing it in RevolveЯ Two as well. Years ago I wrote a silly poem at a bar. I had the notion to make a short comic out of it, then for fun I ran it through babble fish 3 times [Eng-French?-Eng. Might have been Spanish]. Later I was invited to contribute to the Popgun series. So i made this experimental short story for it. I’m republishing it in RevolveЯ Two as well. A comics news and cartoons publication, a free giveaway tied into the blog I publish. You can read them online here. An X-men like comic series about man-made mutants I started working on in highschool, then restarted after leaving, finally dropping the project after publishing one issue of it as a zine that was sold at a few downtown Toronto comic shops. A formative learning project I came to recognize was not really what I wanted to do. Before I drew Nature of the Beast with Al Roy, we worked on a short called Captain Censored Vs. Dr. Goingtofar, published in the CLLDF’s second anthology book. ‘The Heat is On’. I assisted/apprenticed with Dave Ross, a professional comic artist i came to know via comic conventions. 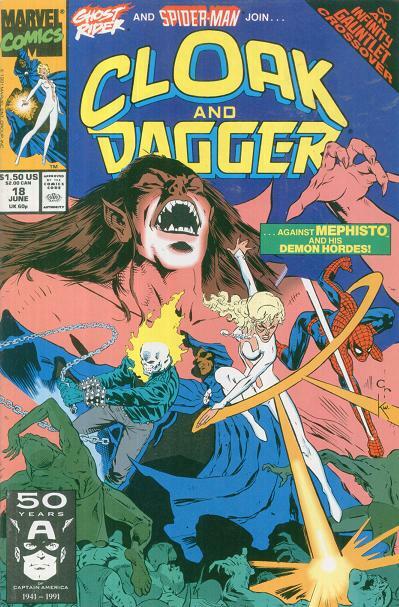 He paid me a little for each page to help out at first filling in just some backgrounds and secondary figures, and then let me draw larger portions of a few pages near the start of the book in Cloak and Dagger #18. 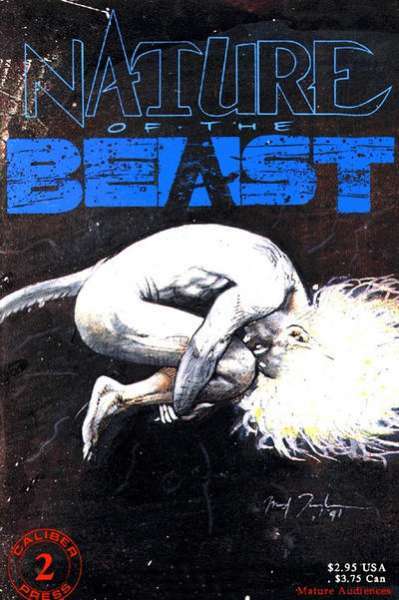 Nature of the Beast / written by Al Roy ; illustrated and co-created by Max Douglas. My first credited professionally published B&W title. 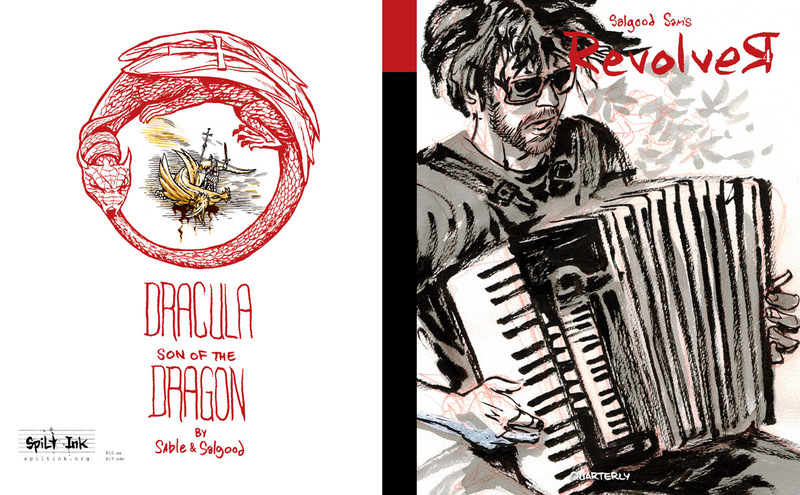 I drew two issues, and half of a third for this fantasy series. Book two is posted on this site here. A comics antholagy, and Lit Zine respectively. 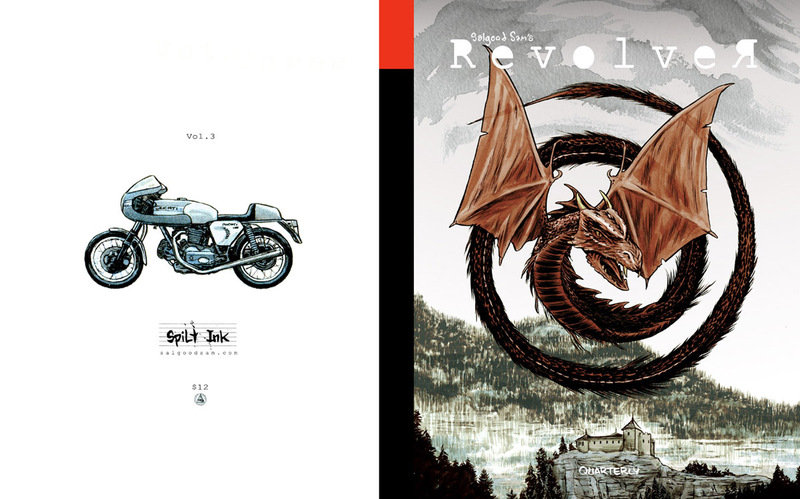 Along with contributions from friends I illustrated, designed and published both just after dropping out of highschool. 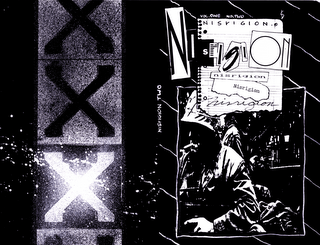 Nisrigion was a collaboration with my freind and roommate J.F.Sugerman. Body & Soul collected comics stories by myself and some of my old classmates from school. A zine featuring some of my first attempts at auto bio comics. 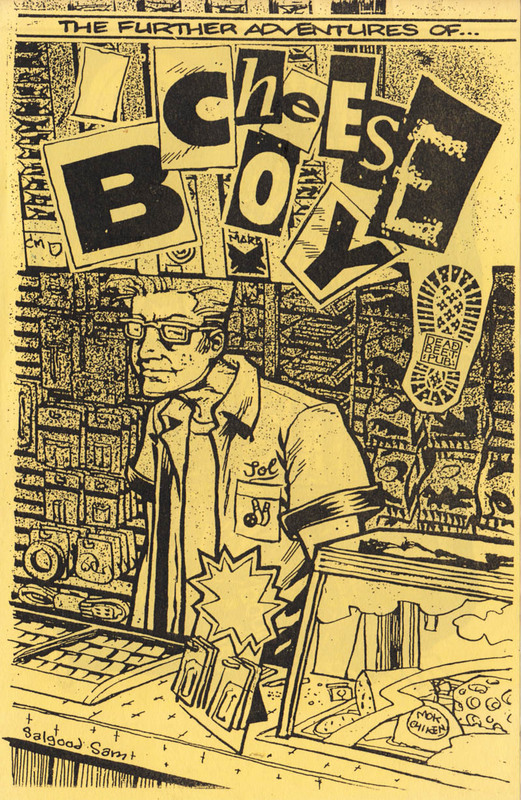 There were three versions, an oversized zine, 13×17″ featuring an auto bio story and some one page comics. 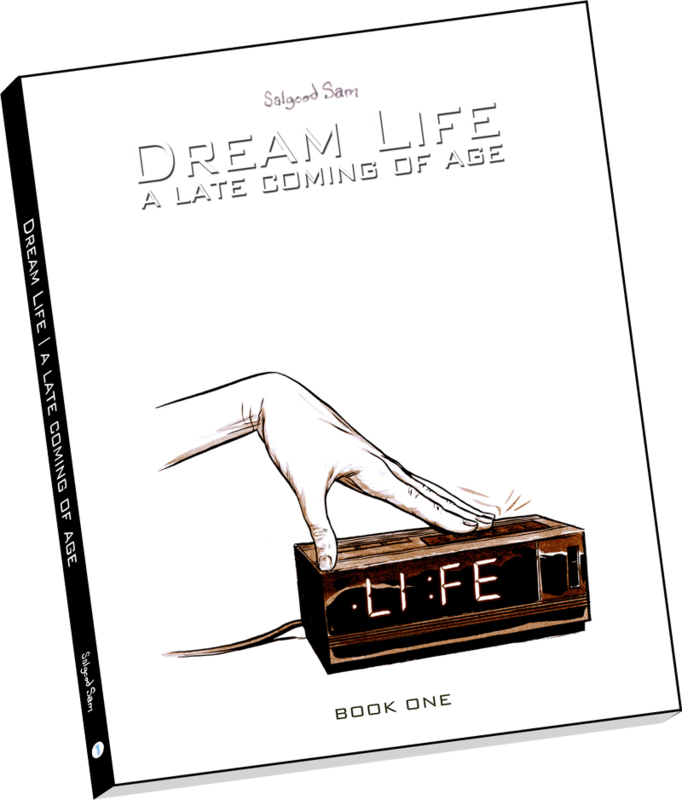 An anthology edition, 10×13″ featuring an auto bio story and some one page comics by me, and a number of contributions from Cartoonists George Rizok and Mark Laliberte. And last a 5×8.5″ edition featuring my auto bio story and some one page comics by me. A small sketchbook zine (5.5″x8.5″) of sketches and thoughts and a comic title Boy meets? An early and embarrassing writing effort. Cheese Boy was a character drawn in a series of strips by my freind George Rizok, I was inspired to do a eight page story about him based on an episode of Hard Copy George and I watched together. In hindsight I’m only too happy very few copies were ever made. My First official WFH in mainstream Comics. I was hired on first to compleat an unfinished issue of Clive Barker’s Night Breed, #20 : Circle of Vengeance pt3. It was the fastest i ever drew i think, did 19 full size [11×17″] pages of art in 10 days. Amazed me and impressed the editors who a month later asked if I’d like another. 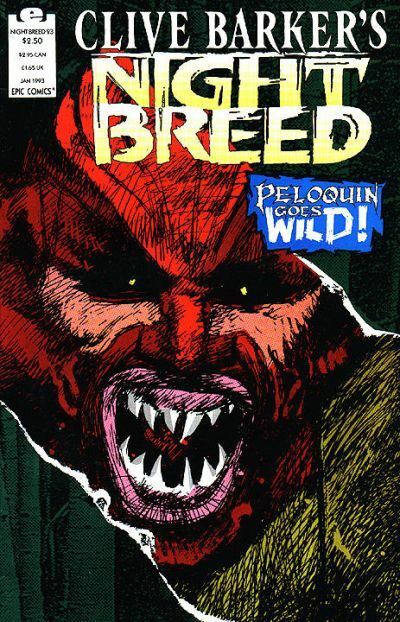 That was ‘THE ONE THAT GOT AWAY’ in Clive Barker’s Night Breed #23, a 32 page storey. This one also went fast and i’m still very pleased with a lot of the art i did on it. 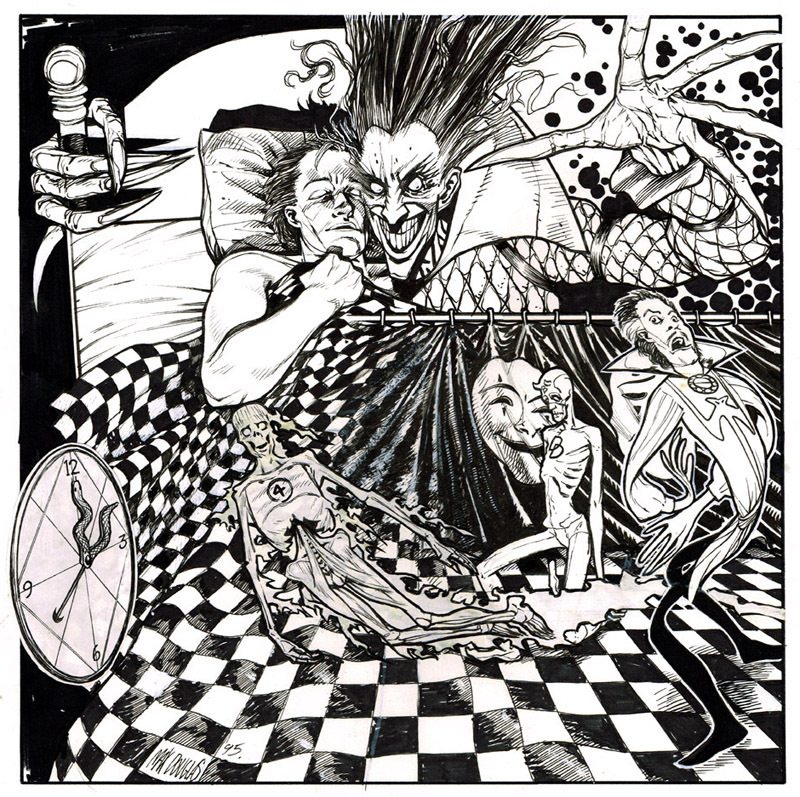 This was very early on in my WFH days, after the 2 Night Breeds I was asked on to a new Series – part of the Razorline, a sub imprint consisting of 4 books that were outlined at the concept stage by Clive Barker. 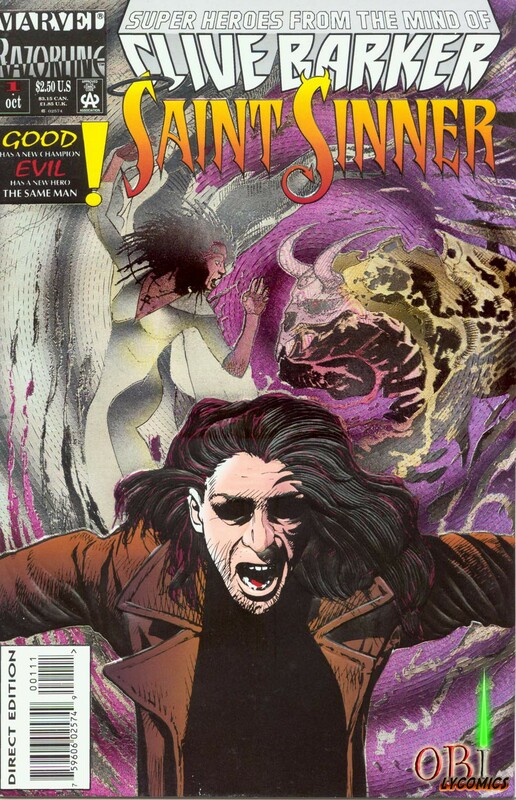 My book was Saint Sinner, the flagship title of the line. I drew a 10 page Vampire story titled ‘Drainage System’ Scripted by Karl Bollers who I later collaborated on Muties with. 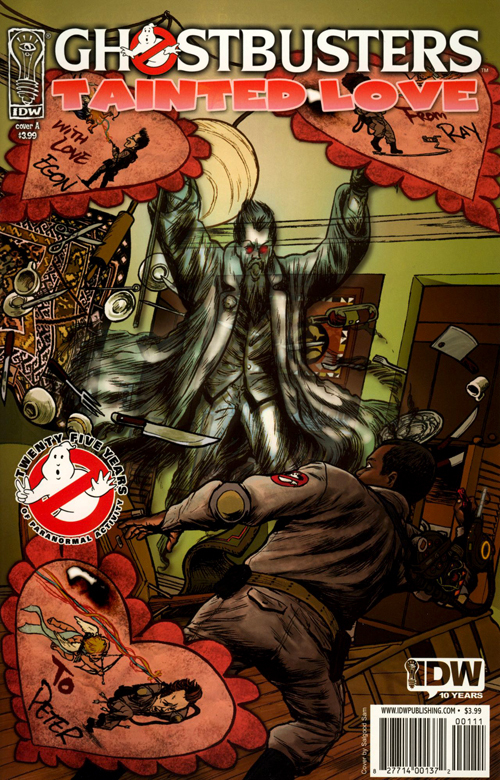 Morbius goes in search of a vampire fetish club where he was able to get an ethically kosher meal in the past, and stumbles on a cult led by a crazy man who idolized him, and is now sacrificing homeless men to his own image of as “Blood Leader”. 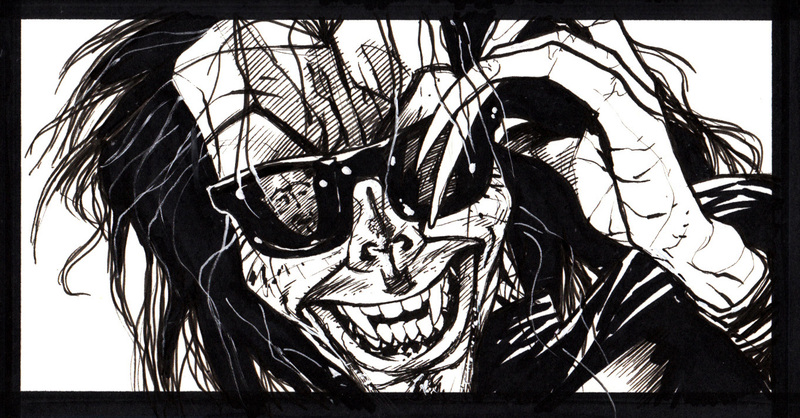 Drew the 10 page Bloodwynd story scripted by Ruben Diaz published in Vol.1 No.5 of Showcase. Bloodwynd reveals more about the nature of his morality and powers, and punishes a drug dealer by forcing him to experience the pain of his victims. 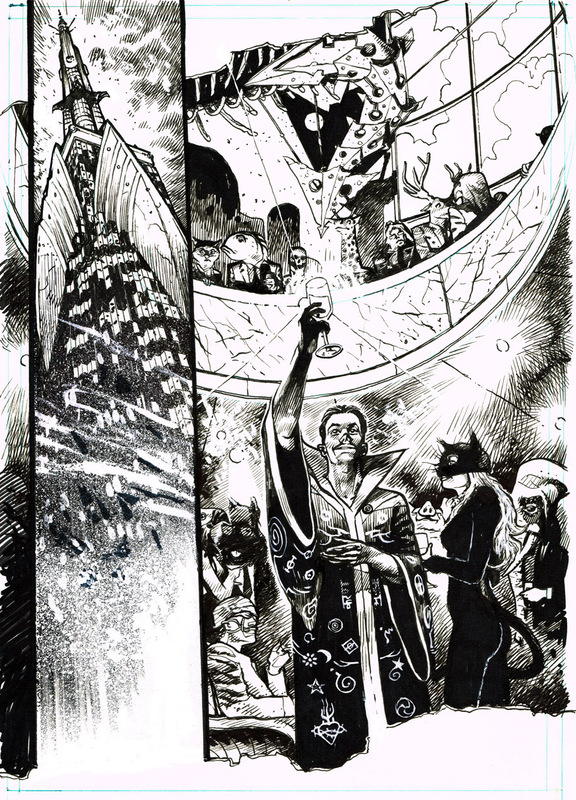 A fill in issue of Doctor Strange Scripted by David Quinn that i drew after leaving Saint Sinner. It was only ever a one-off, but it got favorable reviews and many fans expressed a hope I’d do more at the time. Another Sleepless Night. A short story by Elaine Lee. 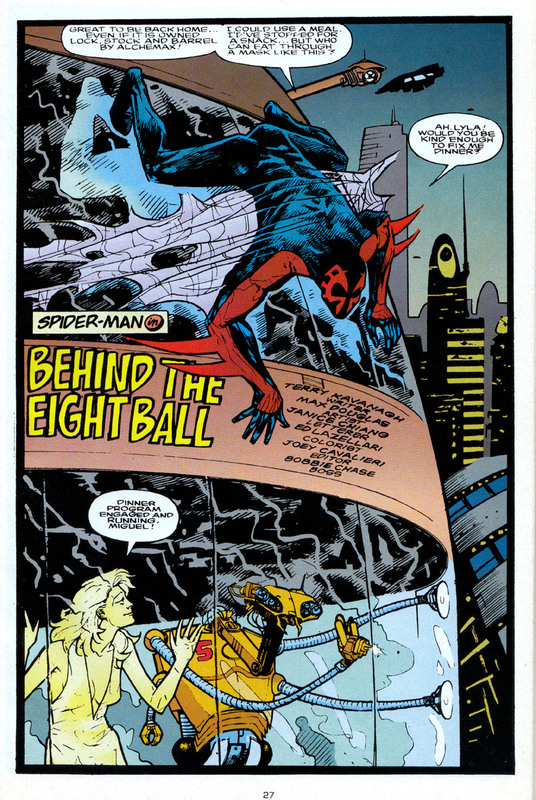 Drew a 10 page sci-fi Spidey story in the anthology series, 2099 Unlimited # 8. Titled ‘Behind the EightBall’ scripted by Terry Kavanagh. And 6 illustrations for ‘Blood Thirst: 100 Years of Vampire Fiction‘ by Leonard Wolf (Editor), Stephen King (Contributor), Ray Bradbury (Contributor), & Richard Matheson (Contributor). I contributed 5 stories to 4 of these large cool factoid books. The Big Book of the Seventies : Paradox press/DC comics – 2000. 3 pages of the history of corporate pop, from the Beetles to the Boss. 3 pages of the history of the demonization of marijuana. Scripted by Glen Hanson & Allan Neuwirth. Art by Salgood Sam. Colours by Bernie Mireault. 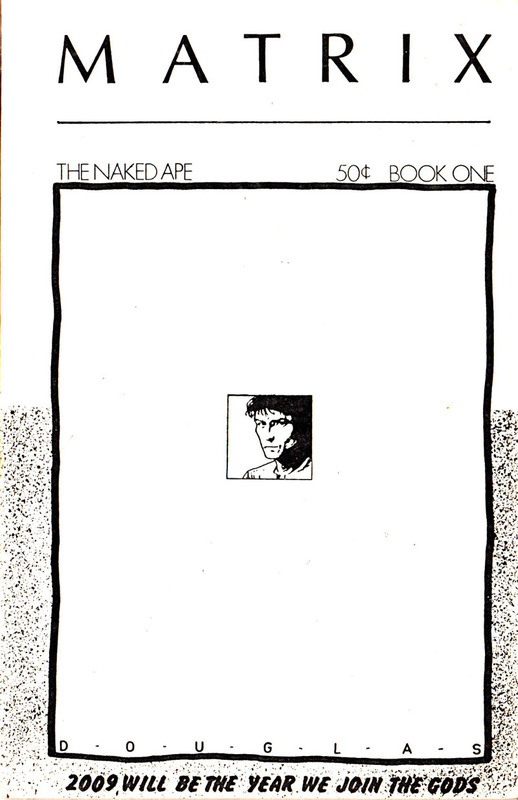 This 48pg trade was my First Graphic Novella! To evoke the era feeling, it was inked entirely with brushes, a stylistic echo of the visual traditions of H.G. Peter’s original comic. It’s the first book I did that for, and I quite enjoyed the work. There was a longer version of the script that I really regret we couldn’t use, but this is still one of the best comics I had the pleasure of working on. Script by Karl Bollers [#6 co scripted by Salgood Sam]. Art by Peter Ferguson, Patrick Spaziante, Dean Haspiel, Trent Kanuiga, Charlie Adlard & Salgood Sam. Muties #1 ‘The Changeling’, I did page breakdowns, rough pencils for illustrator Peter Ferguson who painted the book. Muties #6 ‘The Patriot Game’, I did the full B&W art chores. Scripted by Ivan Brandon, Pencils by Goran Pavlov, Inks by Salgood Sam, Colours by Paul Mounts. Script by Ty Templeton, Joseph O’ Brien & Sam Agro. 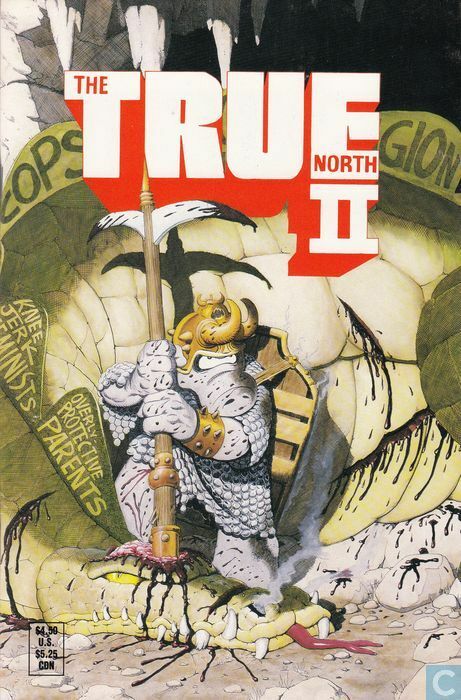 Art by Denis Rodier, Attila Adorjany, Gabriel Morrissette, Tom Fowler, Sam Agro, Kent Burles, Steve Molnar & Salgood Sam. Colours by Bernie Mireault, Salgood Sam & Art Lyon. Scripted by Dara Naraghi. Art and lettering by Salgood Sam. Colors by Bernie Mireault. Love is in the air – literally! – as Winston befriends an attractive woman with a ghostly problem in her apartment. But trapping the love-struck apparition proves to be more complicated than the Ghostbusters originally thought. Can Winston step up and save the day? Just how far will Peter go to find a date? And do Ray and Egon ever stop to think about girls, or is it always about trans-dimensional ectoplasmic anomalies with those two? I drew two file stories for the Sci Fi version of Ghost Rider that sadly did not ever get used. They were completed, lettered and colored and everything. The title was canceled before they got a chance. I have other unpublished file stories, about 2 or 3, mostly also with the 2099 line. But these two were some pivotal stories for me so I like to mention them. ‘Horrorshow’ was a peak in my art, and ‘Daddy Dearest’ one of my first attempts at plotting professionally with the assist of my friend Scott Andrews. 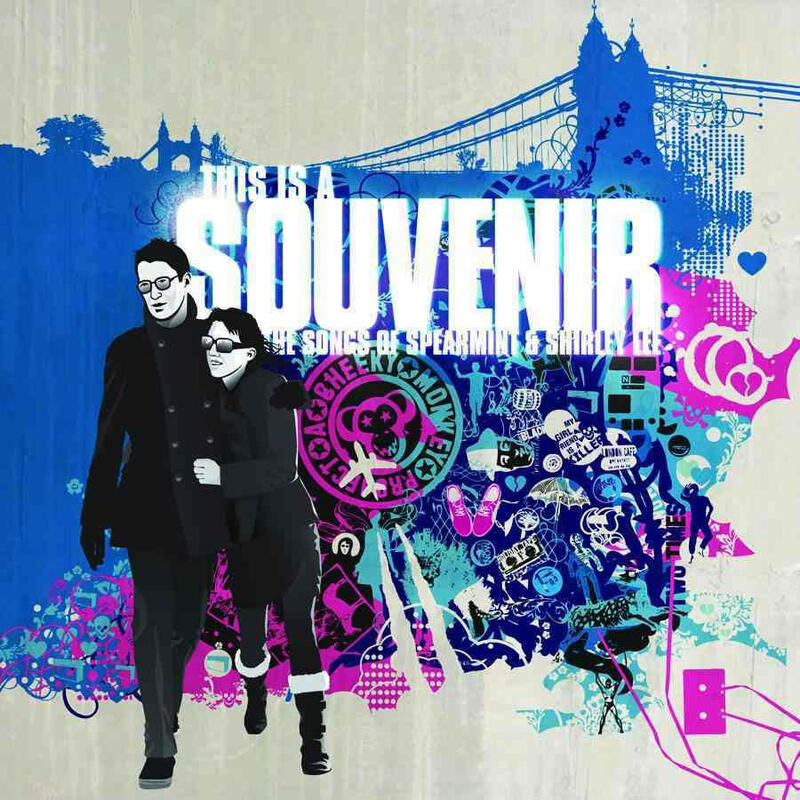 22 page Book – see some of the art from that HERE. 22 page Book – You can read a B&W copy of the pages with my rough lettering guides here. Ravage 2099 – Marvel Comics 1995 or 94? Another One that never got published, a file story for Ravage 2099. Not sure what the title was now, and I don’t have the script any more I think. I’ll keep an eye out. But I was pretty happy with the art. Rifting on some Dredd/2000 AD references in places. by “Susie the Floozie”. The story of the famous NY Madam Polly Adler: born in Avanovo, Russia. Emigrating at 12, worked in factories, ’till in 1920 when she opened a Brothel in New York City. The book was canned by the publisher for disputed reasons. I recently sold the full set of lettered pages to a patron.